counsels her clients on making strategic decisions and mastering change. 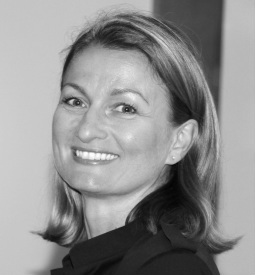 For more than fifteen years, Carmen advises successfully international corporations in german and in english. She is also strategic network partner of beratergruppe neuwaldegg. Before she was Associate Partner at Malik Management Center St. Gallen and Project Manager at the Integrated Consulting Group, where she was responsible for acquiring and managing complex corporate development projects. In addition to her experience as a management consultant she established and run successfully as managing director a post- graduate academy. As a business line manager at the world largest privately owned business intelligence company she was responsible for the selling and implementation of two key products. Carmen holds a degree in business administration and has attended advanced programs like " Systemic corporate development" at Beratergruppe Neuwaldegg, "Management- Curriculum" at Malik Management center St. Gallen, " Gestalt- Organizational- Consulting at IGG Berlin, "Group Dynamics" with K. Doppler and has made several study trips to the USA.